Amazing… i have to try that one. Love it. Victorian, thanks for sharing. Has anyone tried this pattern? 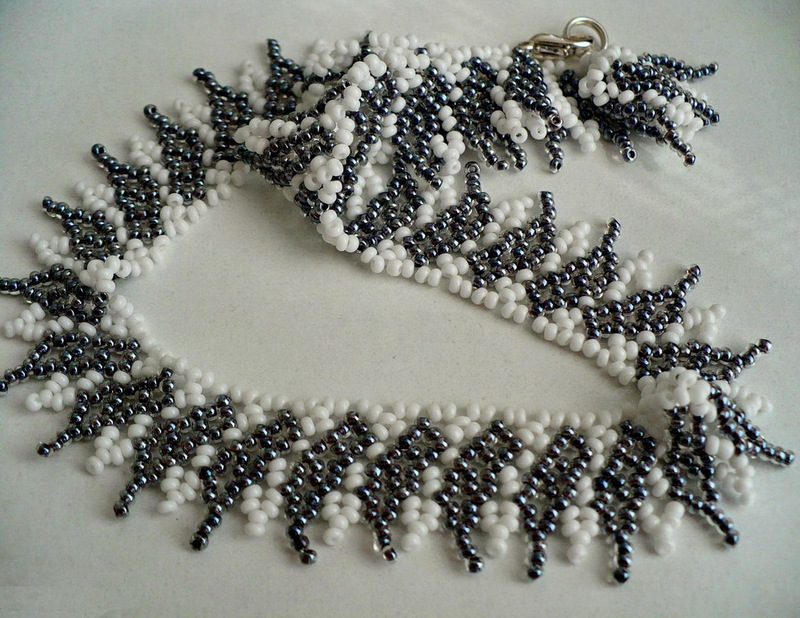 I can’t figure out the bead sizes for this to work. Thanks! Thank you very much!!! its amazing!!! by a bulk of young males, the skill games market locates the lion share of its organisation coming from the 35-65 year age variety, with a small skew to females. Id say the size beads used in this pattern are the larger white beads are 4 mm white pearls,while the squares are size 11 delicas in green and gold colors and the small white round ones are size 11 round seed beads the green between a 4-6 mm green oval pearls..my guess and I like to bead off Japanese beading books! 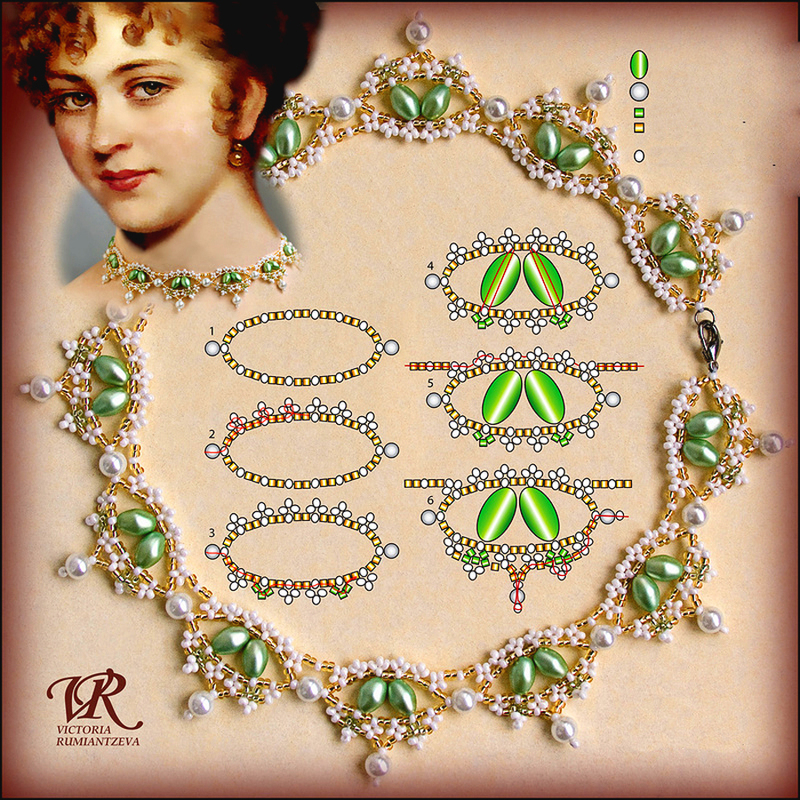 Im sorry 6-7 mm green freshwater (oval)pearls..for the larger beads. Is it possible to give a more detailed pattern,and not just the diagram. The effort will be greatly appreciated. 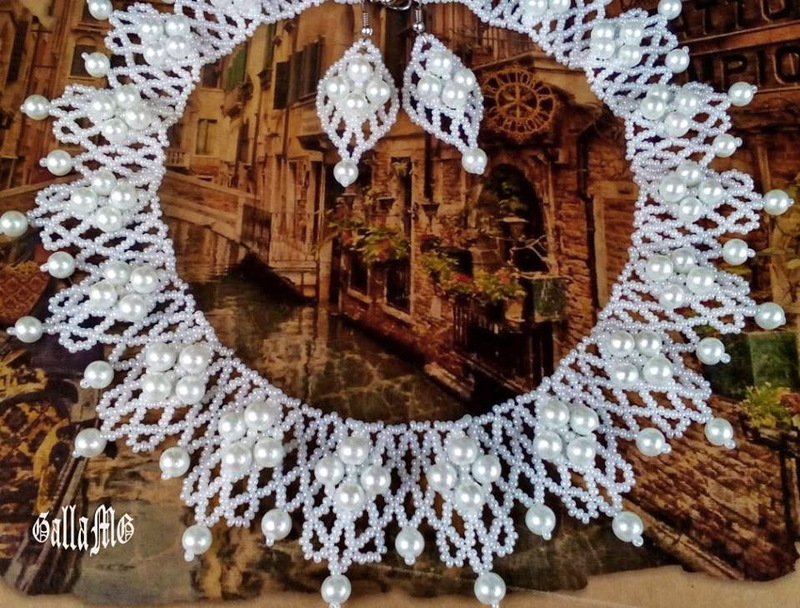 I Just love the design it’s very classy and I can’t wait to make me one. Beautiful necklace! 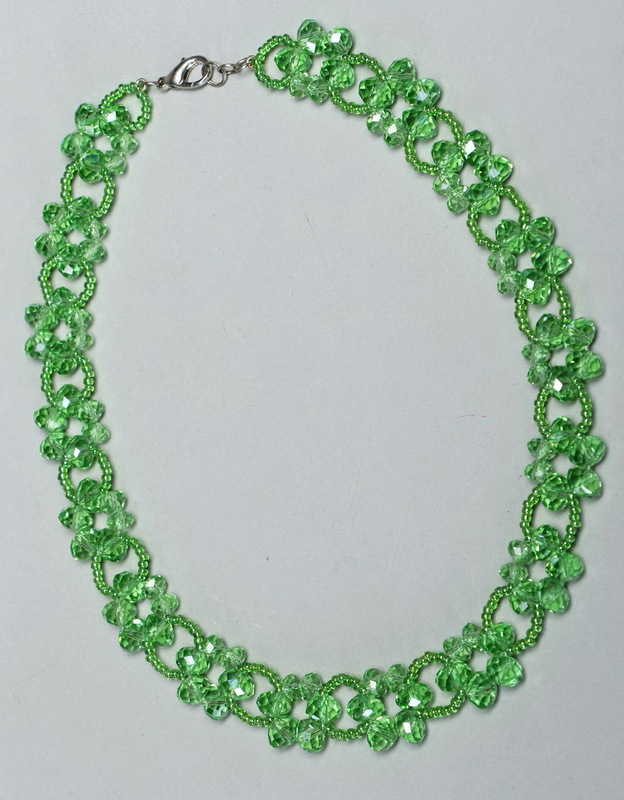 Anyone know where one can find these green oval pearl beads? OMG ! simply stunning !! But unable to figure out how to start and end. Need to know in details also. please admin help me out. appreciate you ! Did anyone ever figure out any more details to go with this? ??? I have a ruler that measures on a computer screen. According to it, here are the bead sizes. I haven’t made this yet, but will make it soon. If any size is wrong, I’ll try to remember to post a correction. Cranky Bird did you make the pattern with the bead sizes you listed above? Thanks! I’d really like a better detail on this. I’m new at this but absolutely love this & want to make it for myself. Anyone? 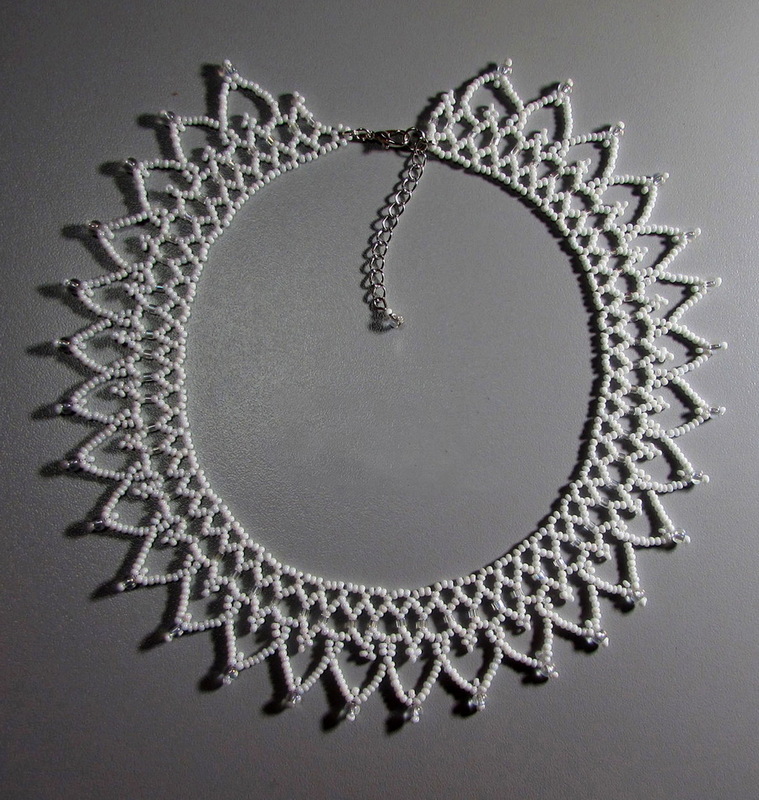 I have tried this pattern and it is absolutely gorgeous! I used a gold and ivory seed bead with oval bronze pearls. own design. Matching bracelet and earring are a plus! 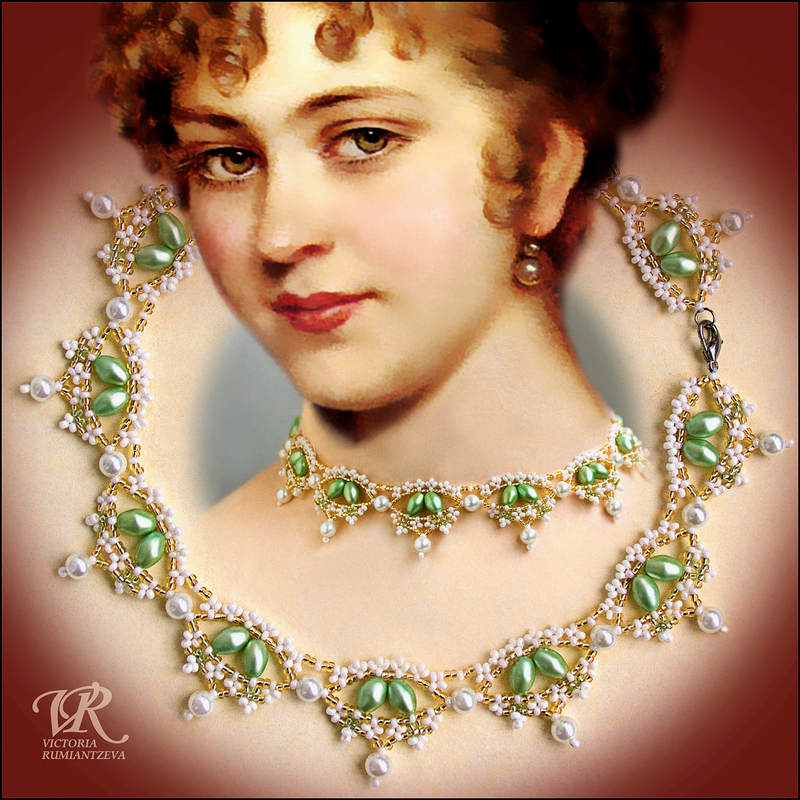 necklace Renaissance by Viktoria Rumiantzeva | Beads Magic. I definitely appreciated every bit of it and I have you book-marked to check out new things on your website. was searcing foor thoughts on this subject last Tuesday. I can’t seem to download the pattern – where is the download button? can anyone help? Tamera. Below the date at upper left, right click on the sentence. Save it to your computer documents, or pictures. You can print it from there.